After applying for a university place at the Oslo Metropolitan University (OsloMet, former HiOA) I applied for housing at the SiO page (https://www.sio.no/en/). SiO is the welfare organization for students in Oslo and Akershus. When you are applying for an accommodation offered by SiO, you can choose how many flatmates you want to have and if you want your room to be furnished/unfurnished. I was living at the Sogn Student village and I shared my flat (means kitchen and bathroom) with 6 other students. Sogn is one of the biggest student villages, and living with so many people can be a mess but it is also a lot of fun! I can only recommend it! But SiO is not only offering housing, they also provide you with a lot of things you might need as a student: they have several gyms all over the city (very cheap for Oslo), Kindergarten, Health Centers, they are running the cafeterias at the Universities and they offer a broad range of different associations. But don’t worry now, you have enough time to check out all their offers! For my stay in Oslo, I chose the Course “International Public Health” at OsloMet. My course at OsloMet consisted of five different parts and had a total of 30 ECTS. We had one oral exam after Part I-IV and one final written report for part V, which was following a fieldwork. (http://www.hioa.no/eng/Studies/HF/Courses-taught-in-english/International-Public-Health/node_74419/Programplan-for-International-Public-Health-30-ECTS-Academic-year-2018-2019). You can find a lot of different Facebook groups linked to OsloMet, and you should definitely join some! In the first week of the semester we had some “Orientation Days”. Therefore you were randomly put into different Buddy Groups, and each of these groups had two Buddies. You most likely don’t have any classes during this time (well I did, but that was the exceptional case). But don’t take this as an excuse to stay at home all the time or even coming to Oslo later! The Buddy Week is the perfect opportunity to get to know the campus, the student life in Oslo and to make a lot of new friends, which might last for the whole semester or even above. Oslo is a beautiful city in the South of Norway. Norway is very famous for its breathtaking landscapes, as well as for the high quality of living. 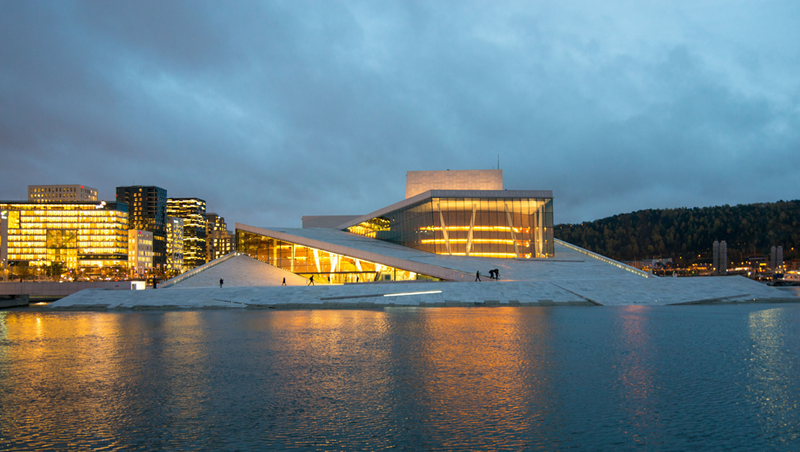 But everything has its price, especially in Oslo: it is rated as one of the most expensive cities in the world! If you go to a restaurant, you have to pay approximately 90 NOK for 0,5l beer, a medium pizza starts at 160 NOK and a bar of chocolate is up to 50 NOK. But while living in Oslo as a student, you find your ways and tricks to “survive”. If you need to go grocery shopping, try to go to Grønland. There you can find everything you might need for an affordable price. As you might live together with a lot of different students in your flat, you should choose to do “kitchen parties” over eating/drinking outside. And, especially in the beginning of the semester, there are a lot of different events, which include food and other treats for free. And since you are in one of the most stunning countries in the world, you should definitely take the chance to go on one trip offered by ESN or arrange one on yourself.